The Lewis Dot Structure for CH4 is shown above. These kinds of structures can also be shown by representing each of the bonds with two dots. Each atom in the bond has a full valence, with carbon having access to eight electrons and each hydrogen having access to two (this is why hydrogen only needs two). The covalent bonds between the C and the H are similar to the ones formed between two Hs because the relatively small difference in electronegativity between carbon and hydrogen. This Lewis Dot Structure also explains some of the fundamental properties of this particle. Since there are no lone pairs on the central atom (or any atom for that matter) there are few dipoles created and the minimal electronegativity difference means that these bonds can essentially be treated as nonpolar covalent bonds. This means that all attraction forces inside the molecule rely on weak London Dispersion Forces which only strengthen in far larger atoms. In fact the molar mass of Methane is so minuscule that it is sometimes mentioned as a possible lifting gas because its density is less than that of air. It boils at -161˚C due to the weak intermolecular forces present and normally exists as a colorless, odorless gas at STP (Standard Temperatures and Pressures). Does Methane exist in other states? Yes- it is theoretically possible to find methane in other states of matter (liquids, solids). But it is extremely rare. 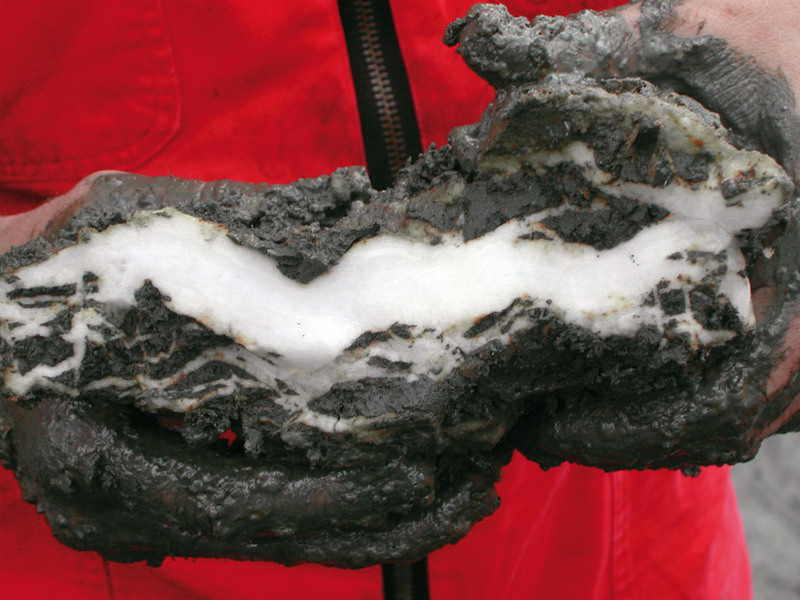 Solid Methane is found in hydrates which have trapped methane in a more solid state. Scientists have also theorized that the lakes of Titan, one of the moons of Saturn, are composed of Liquid Methane. Due to the low boiling and melting points, it is rare to find these other states present. No- Methane is not soluble in water because it does not have polar/strong intermolecular forces needed to break the hydrogen-bonds found in water. Therefore is is classified as insoluble. How do Methane Emissions affect the Earth? This article should have more information about to answer this question.